Not your average stuffed dragon indeed! This little guy was extra special. As it looked a little worn-thin, Jason decided to connect with his Cambria rep and see if a new dragon could be found. 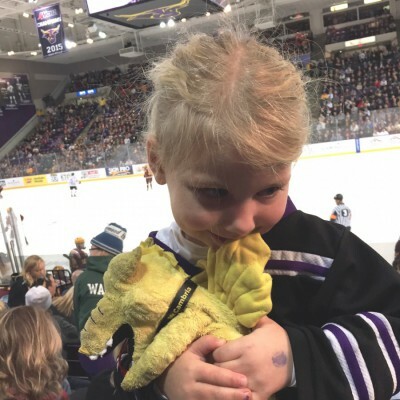 Sure enough, a new “Cambi the dragon” was delivered to the little girl. 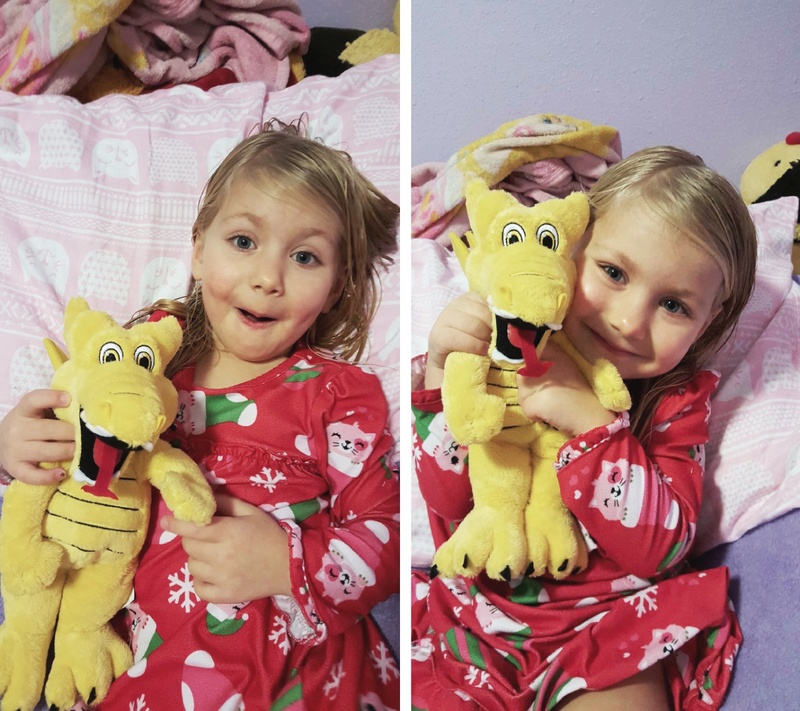 And since her reaction was priceless (& cute kiddos are lovable all around) we just had to share the pictures her mom sent on over to say thanks. 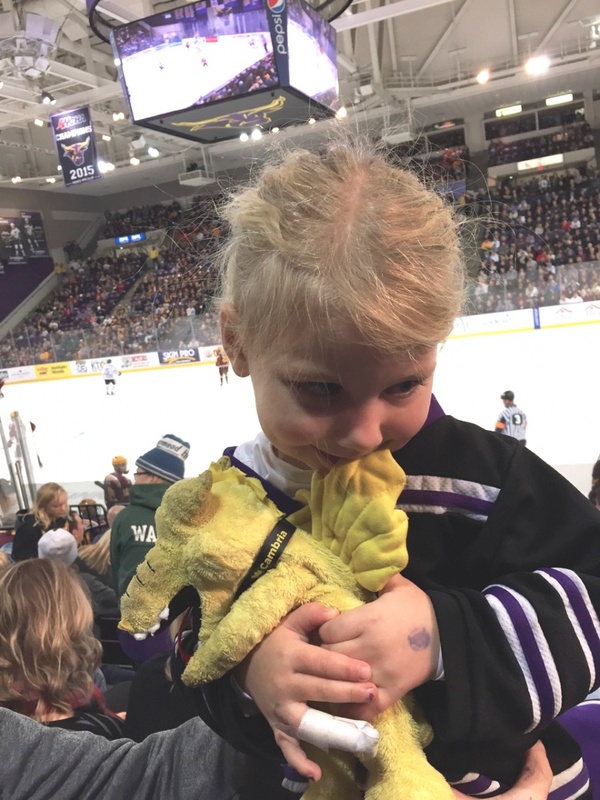 Here’s Maliah with her original Cambi (quite the trooper) at the hockey game. Maliah with her new Cambi! All snuggled in together. Happy New Year everyone! Don’t forget to hold the people (& dragons) that you love tight!